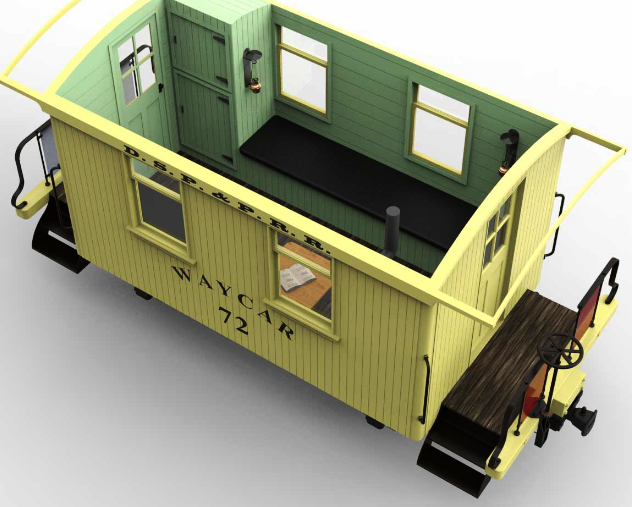 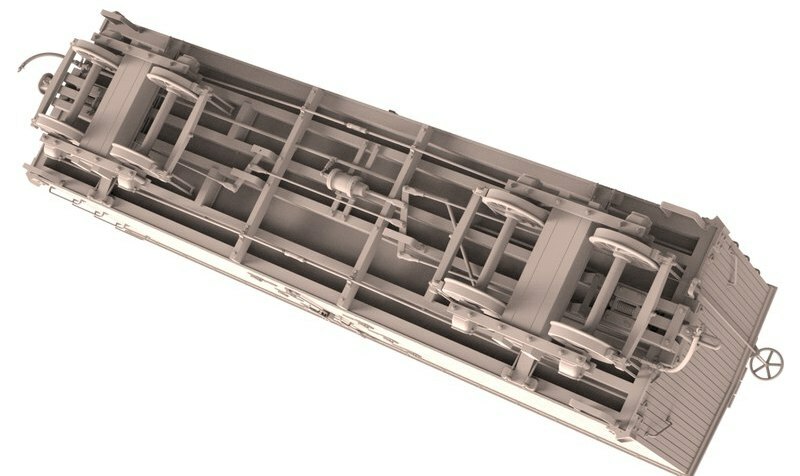 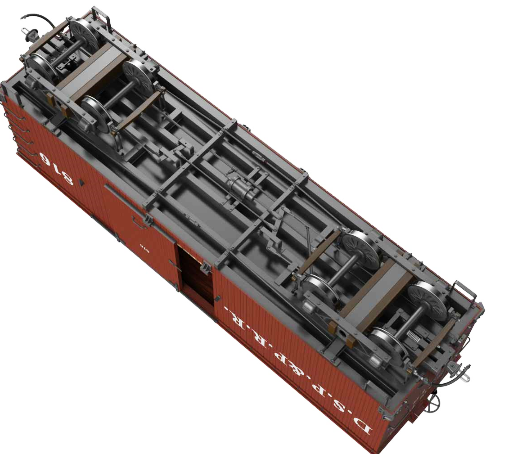 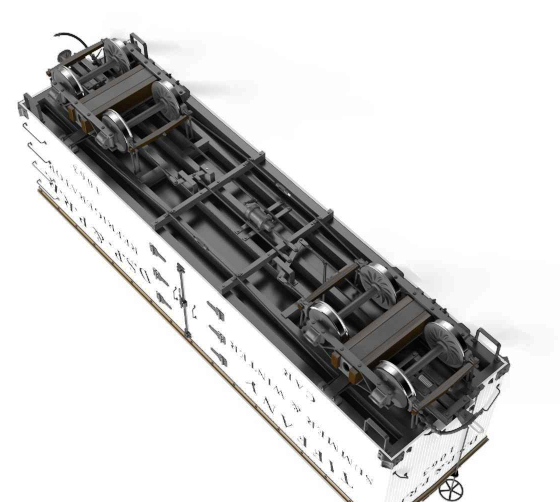 These 3-D images are from William Gould's website, and show how he uses a software package called SolidWorks to create ultra-realistic images of railway equipment, among other things. 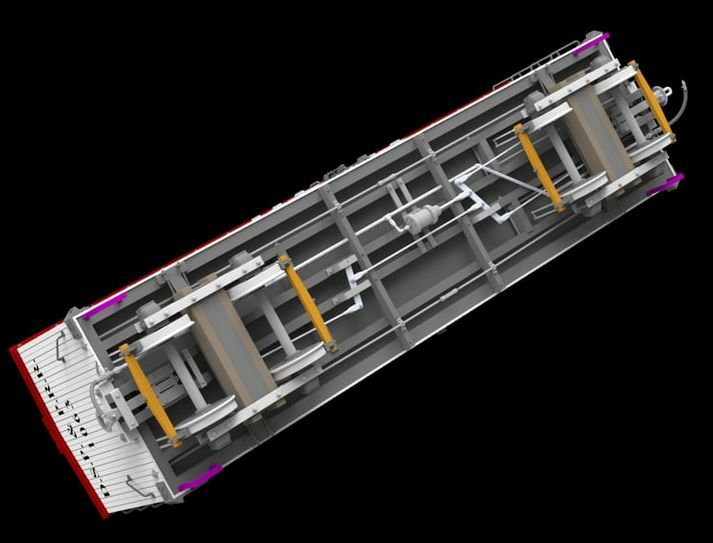 It is really hard to believe that there is no real object forming the image - just 100's of hours of human labour at the computer. 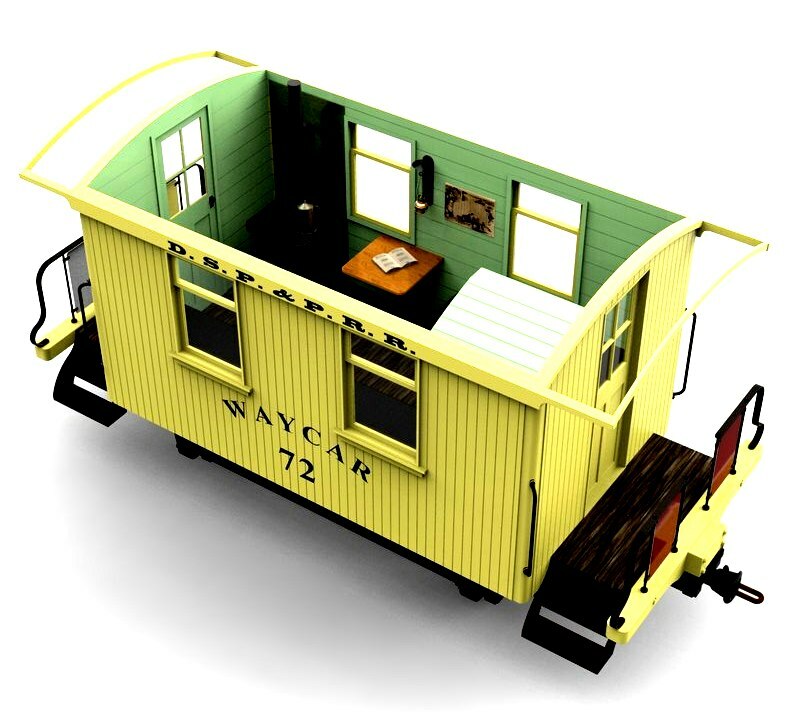 The images here have been reduced in size to protect the artist's original materials. 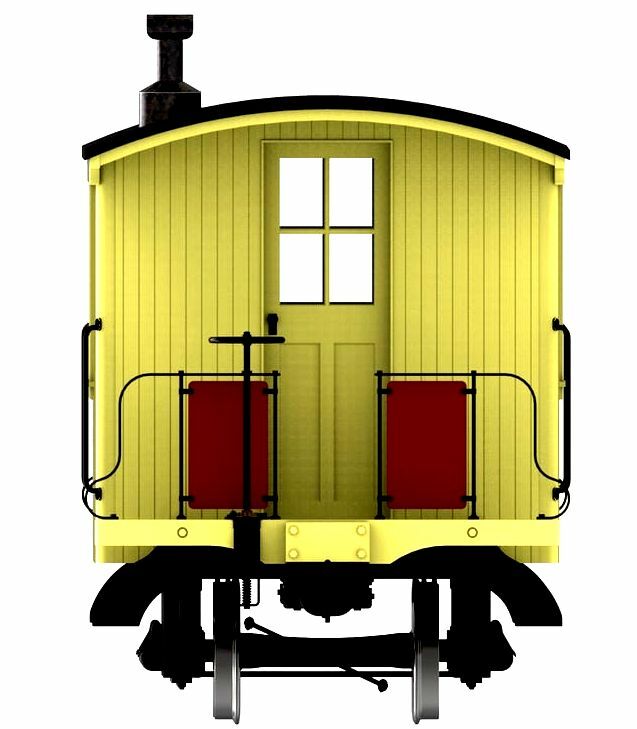 See Bill's website for many more images, exact-scale plans, and fine art prints for sale. 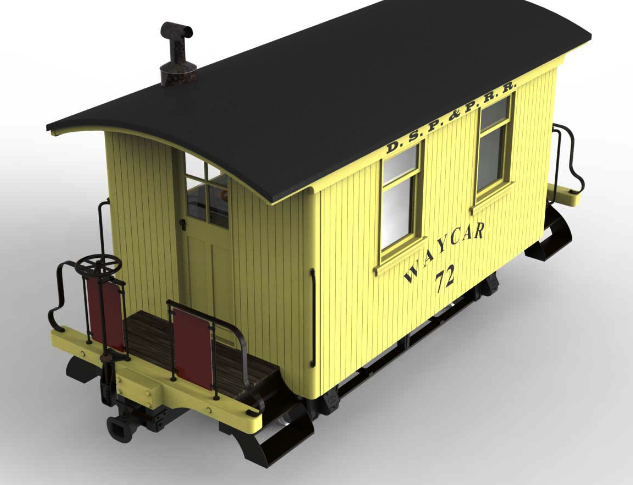 These images, and 1000's of others, are also available at TurboSquid (put "narrow gauge" in the search box to find there drawings). 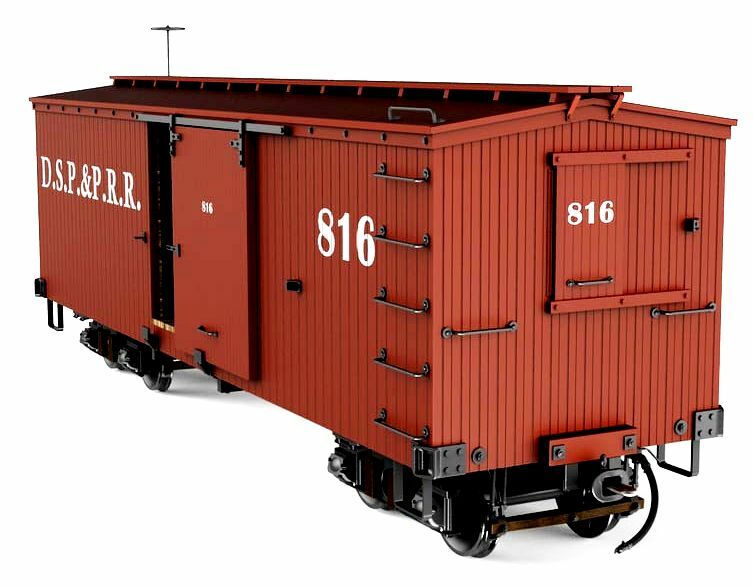 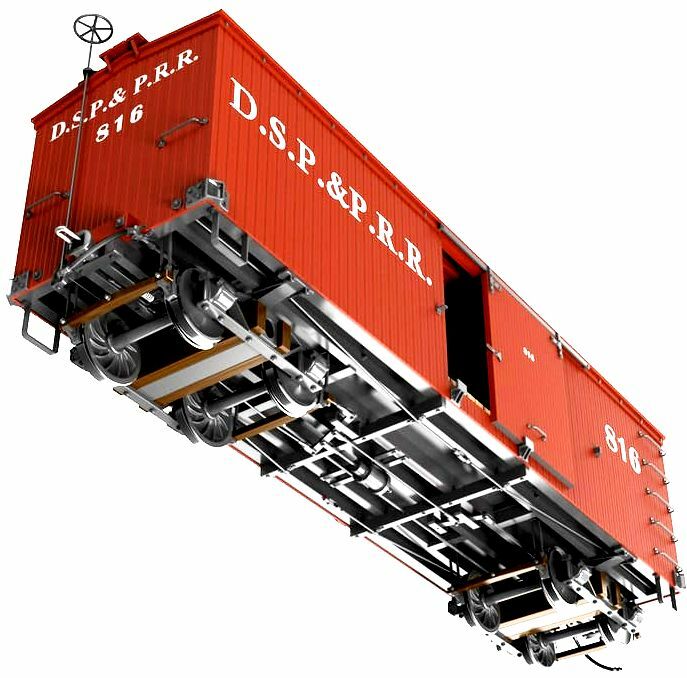 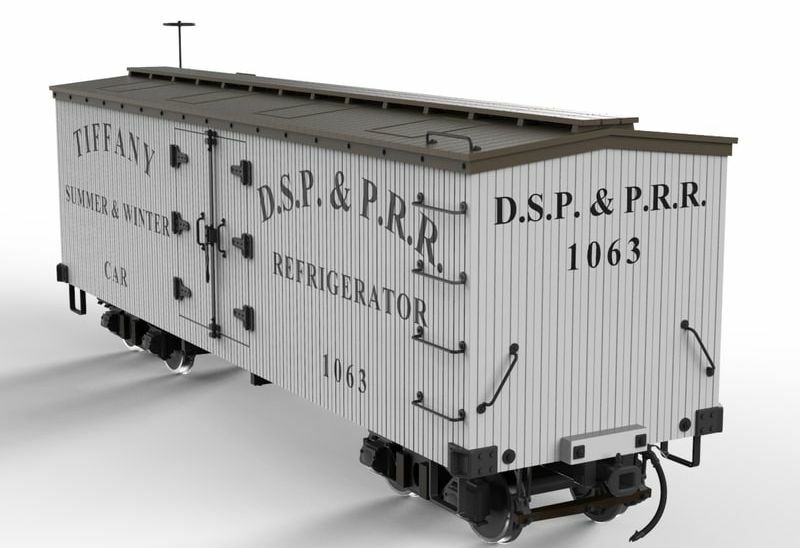 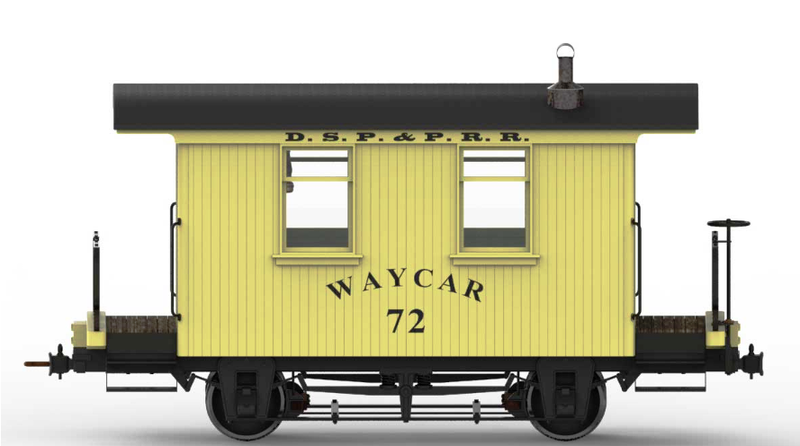 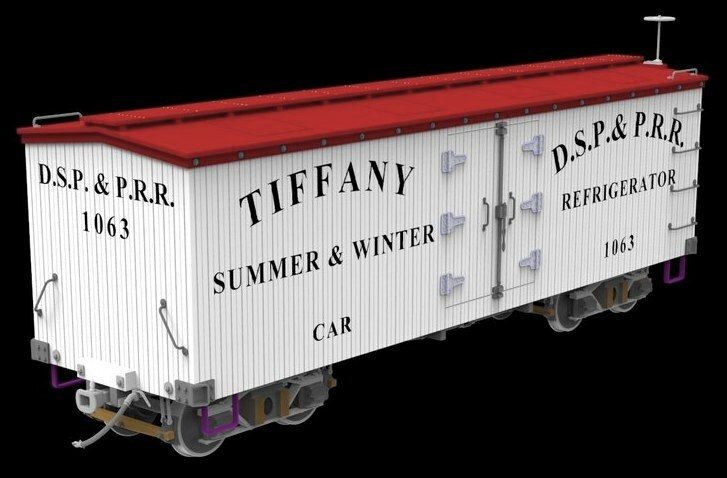 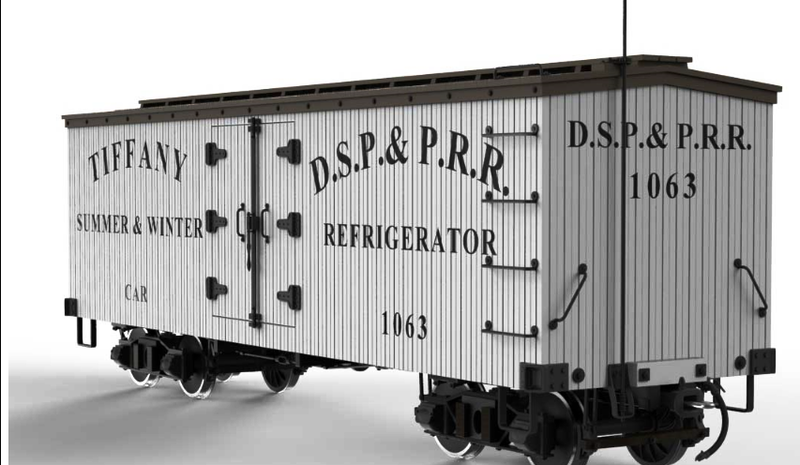 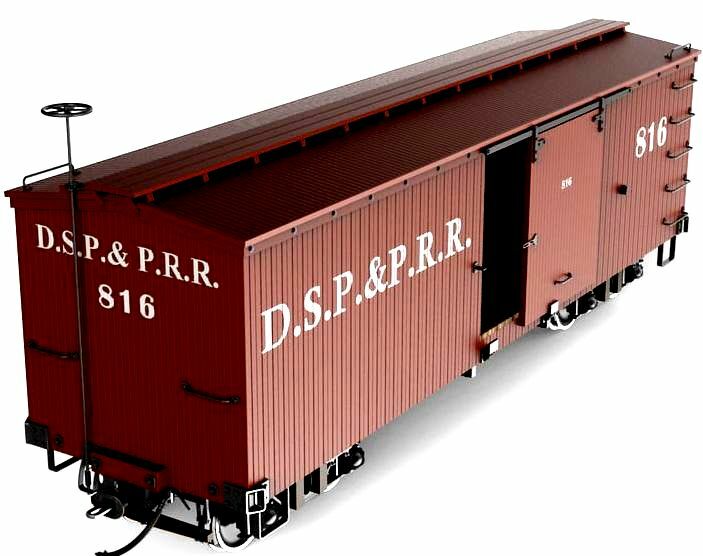 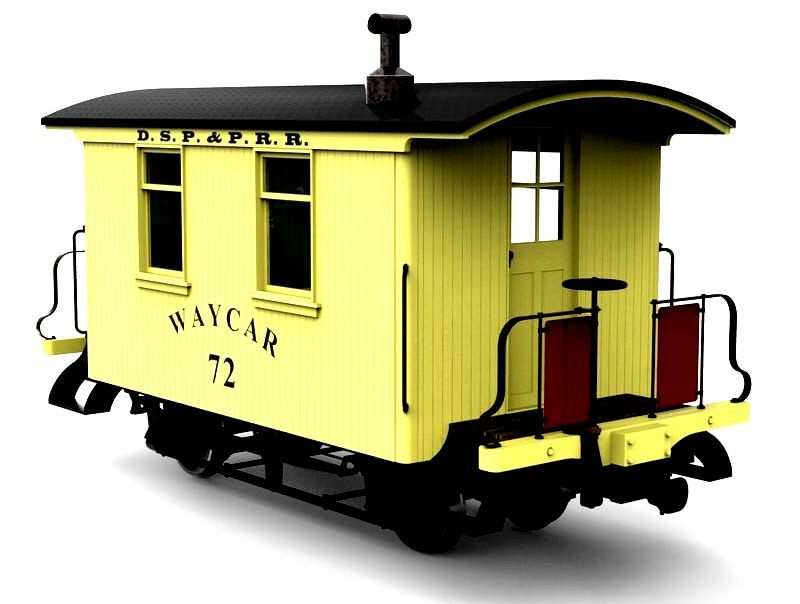 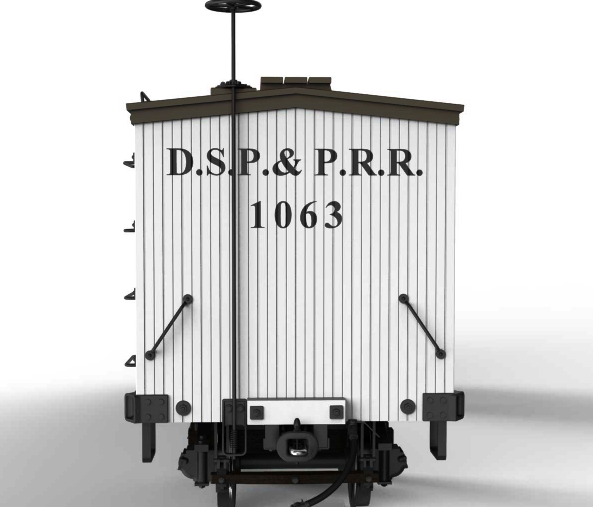 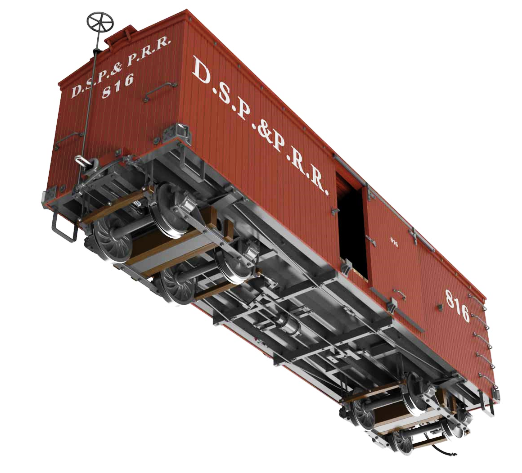 Some people think DSP&P Tiffany Reefer roofs could have been boxcar red. 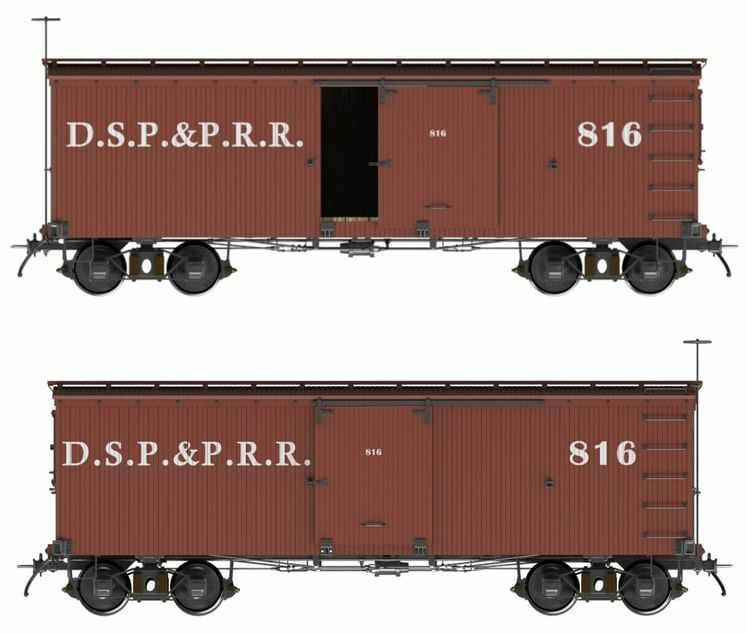 I don't agree but here it is anyway.